The FIFA 14 game was launched only a few weeks ago, but already now we can dream about the next year's project - much better designed and full of different features. 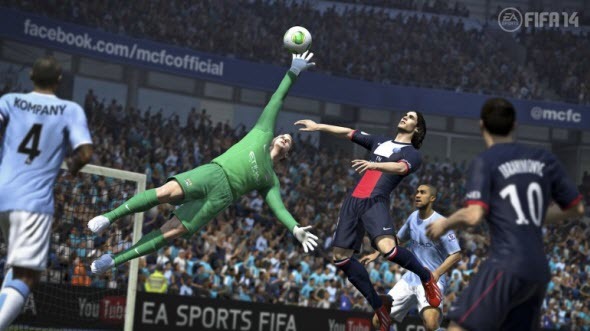 As always, EA will expand the number of leagues in the new game's version. And which FIFA 15 leagues do you want to see? FIFplay.com has launched the survey, in which you can choose the league you want to get in the next version of the famous football simulator. There are 27 championships in the list, and no one of them has ever been presented in the FIFA game series. Now the leaders are Egyptian and Ukrainian leagues, but anytime you can change this situation. To vote for FIFA 15 leagues, follow this link. However FIFplay.com is not the official site of EA - the game's developer and publisher, so we can't be sure that the winner of the voting will be included in FIFA 15. But the journalists have promised to submit the results of the survey to the developers, so we can hope that EA will see and take our wishes into consideration. And what else would you like to see in FIFA 15 game? Write your ideas in the comments below.